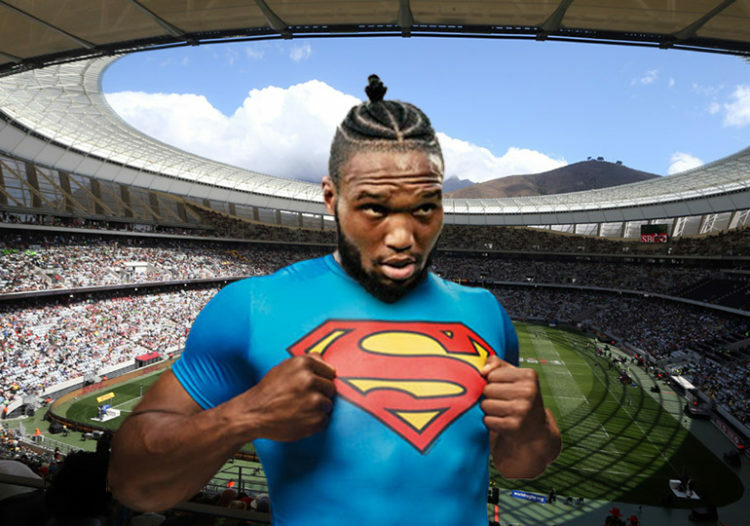 The highly-publicised Super Hero Sunday swoops into Cape Town Stadium this weekend as all four of South Africa’s Super Rugby franchises don their Marvel-affiliated jerseys for the pre-season double-header. While all four franchises have offered up something closer to their strongest match-day side than I had thought they would, it would be naïve of us to read too much into the results on the day. But, where the final scores will have little bearing on a tournament that is still two weeks away, several key players will want to use the opportunity to silence doubts and stake their claims, at both franchise and international level. Firstly, the Stormers — having recently clocked in their annual, off-field fiasco a little earlier than usual — will be hoping some of their bigger names on the day answer a couple of lingering questions. Fans with one eye on the World Cup should already be particularly interested in which position Damian Willemse will take when he comes on from the bench. Springbok coach, Rassie Erasmus has said he would prefer to ease Willemse into international duty by using him primarily as a fullback, but the recent retirement of Pat Lambie may have forced a change in that thinking. Elsewhere for the Stormers, one gets the sense that Seabelo Sentala, named to start on the right wing, is running out of time to prove he can make an impact in the 15-man version of game; especially with Sergeal Petersen applying pressure from the bench. The Bulls, easily South Africa’s winner of the off-season recruitment drive, have a host of key players who will be looking to substantiate the claim that the Pretoria-based outfit’s fortunes are about to change. There’s obviously Duane Vermeulen who will not be left wanting for motivation when it comes to facing his former team in their own backyard, but where Vermeulen’s credentials are not in doubt, Schalk Brits — another recent Bulls acquisition who was turned down by the Stormers — isn’t so lucky. Brits retired from rugby in May last year only to pull a U-turn almost immediately when he was a surprise inclusion in the Springbok squad that faced England in June. However, since his miraculous rugby-resurrection, Brits has only played in two matches in eight months. Seemingly still a part of Erasmus’ World Cup plans, Brits will want to show that, at 37, he still has what it takes to be named among some of the best front row forwards in the Southern Hemisphere. Moving on to the Lions, no one will want to show their worth quite as much as Stephan Lewies. The one-time Springbok and former Sharks man has taken up the task of filling the truly colossal void created by the relocation of Franco Mostert to the Lions’ Northern Hemisphere branch in Gloucester. Lions fans and coach Swys de Bruin need the assurance that will come from seeing Lewies produce a solid showing in the lineout duel against his former team. Lastly, we turn our attention to the enigmatic Sharks. Although the likes of Makazole Mapimpi, Curwin Bosch, Dan du Preez and Thomas du Toit will all be wanting to grab Erasmus’ attention from the moment the 2019 rugby season opens, none have more to gain (or lose) than Lukhanyo Am. As the Springboks’ go-to man at outside centre for most of the 2018 season, Am’s season came to an end after he fractured his arm against New Zealand in Wellington which took longer to heal than expected; forcing him to miss the remainder of the Rugby Championship and the November tour to Europe. Form — particular of the kind that Am was so regularly reaching — always takes time to recapture, but if he can demonstrate even a glimpse of what he has previously shown to be capable of, you can expect a sudden chill across South Africa as Erasmus, Robert du Preez and Springbok fans alike breathe a collective sigh of relief. If only they sent a bit of their money this way.